At first make tubules. 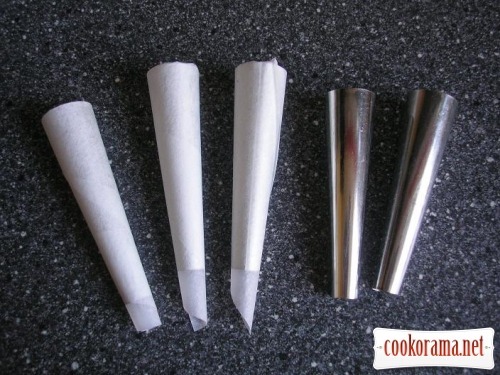 Wrap in baking paper blanks for tubes. 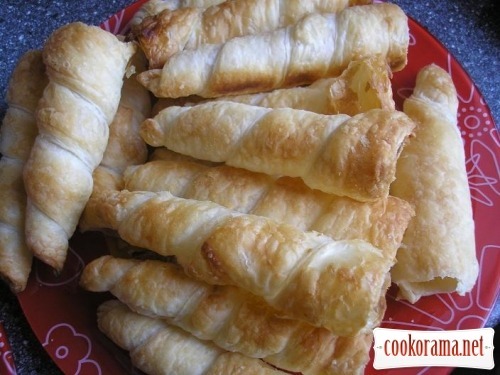 Roll thin dough and cut it in strips of 3-4 cm wide. Wrap blanks in these dough strips. Bake them at 220℃ for 10-15 min. Now prepare custard. For this mix milk, eggs, sugar, vanilla sugar, flour and butter. Mix all well, to avoid clumps. Stirring, boil cream till thickening on a low heat. Using a culinary syringe fill tubules with cooled cream. 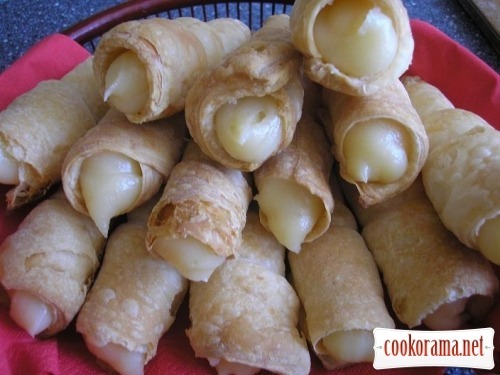 Top of recipe "Tubules with custard"